Plan a visit to the scenic tropical Parish of St. Ann, Jamaica where your adventure will take you on one wild ride! 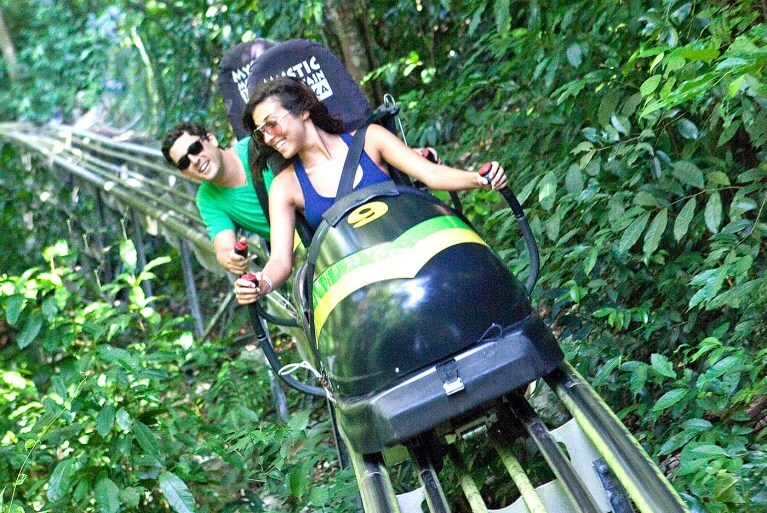 Inspired by the famous Jamaica bobsled Olympic team, this Jamaica Bobsled Adventure Tour is an experience to remember! Your Jamaica Bobsled Adventure starts with your pickup at your hotel lobby or the cruise terminal (additional cost) and you are driven in comfort on a scenic roadway to the adventure park. Once you are checked in for your tour, you will be greeted by your friendly guide who will secure you in the Sky Explorer chair to make your way up to your Bobsled starting point. 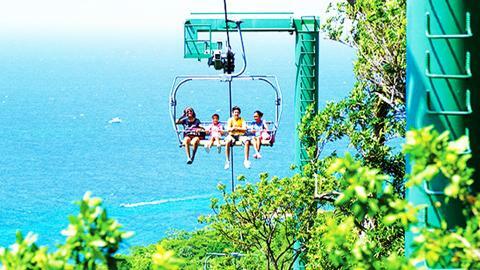 This provides a great opportunity to take in the scenery of Ocho Rios as you soar above the treetops on the skylift. It's now time for the main event, strap in and hold onto your hat for this is one wild ride! 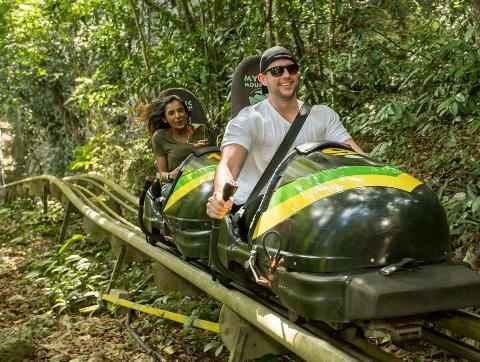 Inspired by the famous Jamaica bobsled Olympic team, your bobsled ride will have you whooshing down a 1000-meter long track installed into the side of the mountain. 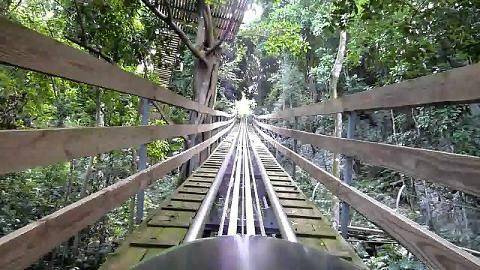 As you slide through the dense tropical landscape you’ll be able to control the speed with a special handbrake, allowing you to slow down just enough to drink in the wonder of your vacation in a Jamaican rainforest. At the end of your Bobsled ride you can enjoy the many other free amenities available such as the Mystic Pavillion and Lookout Tower, Mystic Waterslide and Infinity-edge pool, Hummingbird Garden, Nature Trail or have lunch (meals and drinks not included) at the Mystic Dining Restaurant, enjoying the delicious meal with an ice cold Red Stripe beer or tropical fruit drinks before heading back to your hotel or cruise ship with a heart filled with Jamaica!